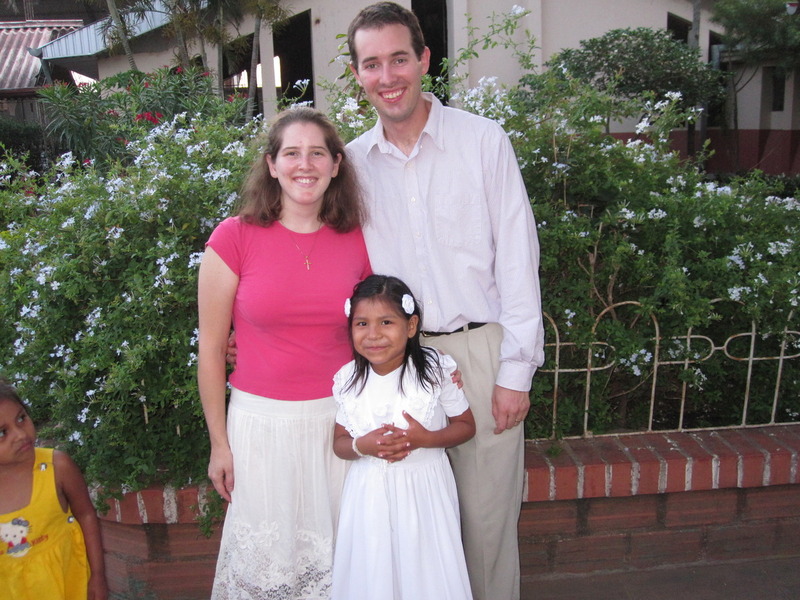 Our first God-daughter in Bolivia, Maria del Carmen (7) from the Hogar, was baptized just two months after we got here. She was 5 at the time. Our Spanish was still rough and communication was awkward at first, but now two years later we have a strong relationship with her. We see her every Sunday and often bring her gifts of toothpaste, socks, whatever she needs. I also spend an hour every Sunday reading with her to help get her up to grade level. 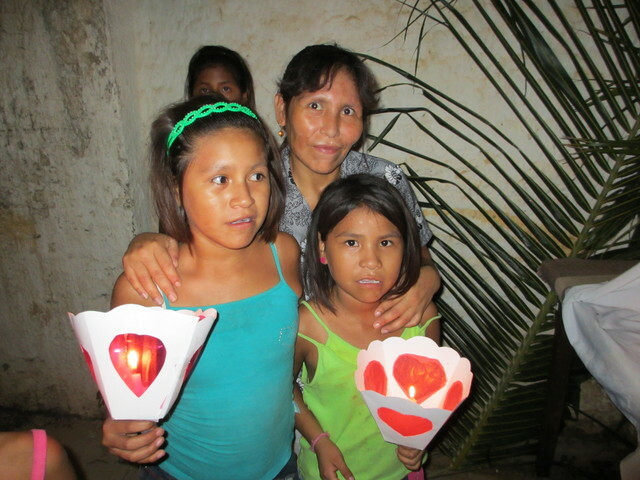 Carmen has two sisters, Ana Paola (11) and Saray (5). Naturally as we started doing things for Carmen like birthday parties or special gifts we would try to include the sisters also whenever possible. Over time we also started to get know their family. Their mom would come to visit when she wasn’t working in Argentina. I sat down multiple times and chatted with her about how the girls were doing. She was always very emphatic about them getting a good education as she herself was uneducated and had suffered in life because of this. Their father had abandoned them but we ran into him one Day of the Dead during mass at the cemetery. He said hi and gave the girls a few coins. Only the oldest, Ana Paola, really recognized him. We have also met their aunts when they stop by church to buy the girls snacks on Sundays that the mom was out of town. The girls talked frequently about the day when they would leave the hogar and get to live in their house again with their mom. We had already told her that we wanted to swap numbers and stay in contact with her in case she did take them out of the hogar after we left Bolivia. Then on Friday October 26th their mom died suddenly of a heart attack. She was probably 32-35 years old. She had had tuberculosis but beyond that she didn’t have any major health issues of which I was familiar. She worked as a cleaning lady at a local medical clinic and died while at work. Apparently the doctors couldn’t save her, although my previous experience with that clinic has been so dismal I hate to say I wasn’t surprised. Since then, we have tried to step it up a bit being there for all three of the girls. Their extended family has very much stayed active in their lives also. On this years Day of the Dead, all the aunts and uncles came to visit the girls and Tom and I got a chance to talk more concretely with them about the girls future. 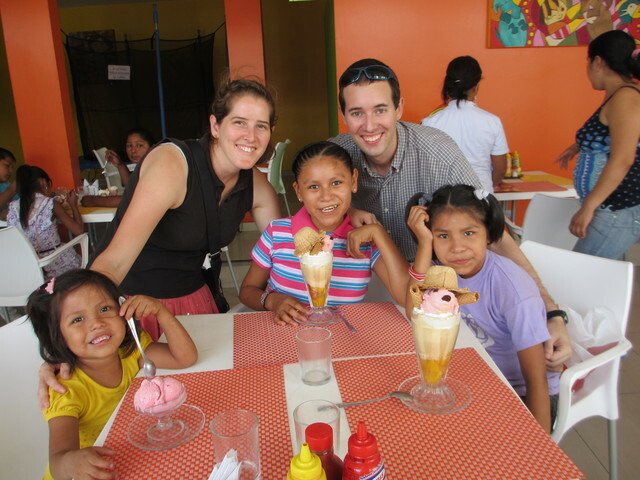 They also are vehement about the girls staying in the hogar and getting an education. We traded numbers with them and promised to try to stay in contact. Know that David and I are praying for them.